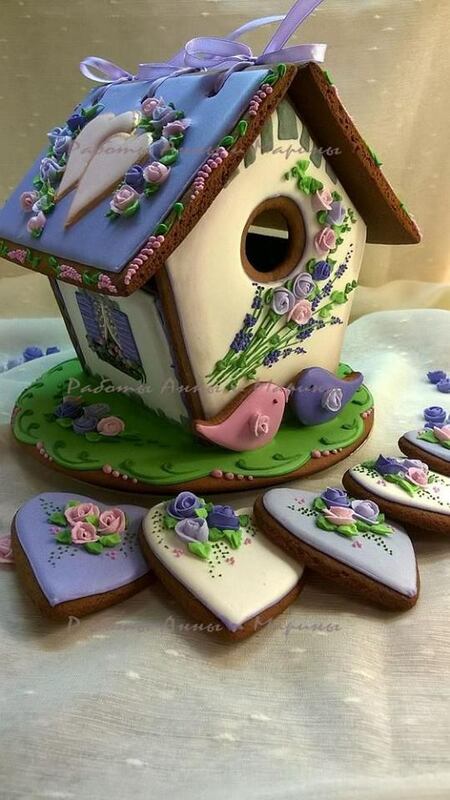 Spring is definitely in the air and Cookie Challenge #88 pays tribute to that with a bird/birdhouse theme. 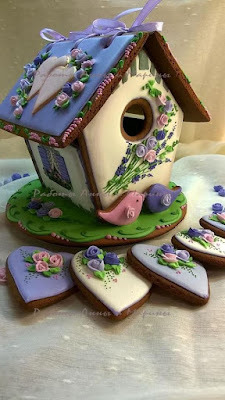 This month's sponsor at the IF YOU GIVE A CRAFTER A COOKIE Challenge Blog is Pattie's Creations Digital Images. I hope that after you check out my project, you will also look at the projects from the other Design Team members. And I'd also like to invite you to link up one of your creations to the post.. You have 2 weeks from Feb. 22 to join us . I will confess that this Bird Crazy stamp set and the matching dies have been in my possession since 2015. A friend got them for me at a stamp show in California and even had Tim Holtz himself sign the die packaging. I will admit that I had something of a fangirl moment when I held the dies in my hands. It was really fun getting creative with these stamps and I am sure I will be using them again very soon !! 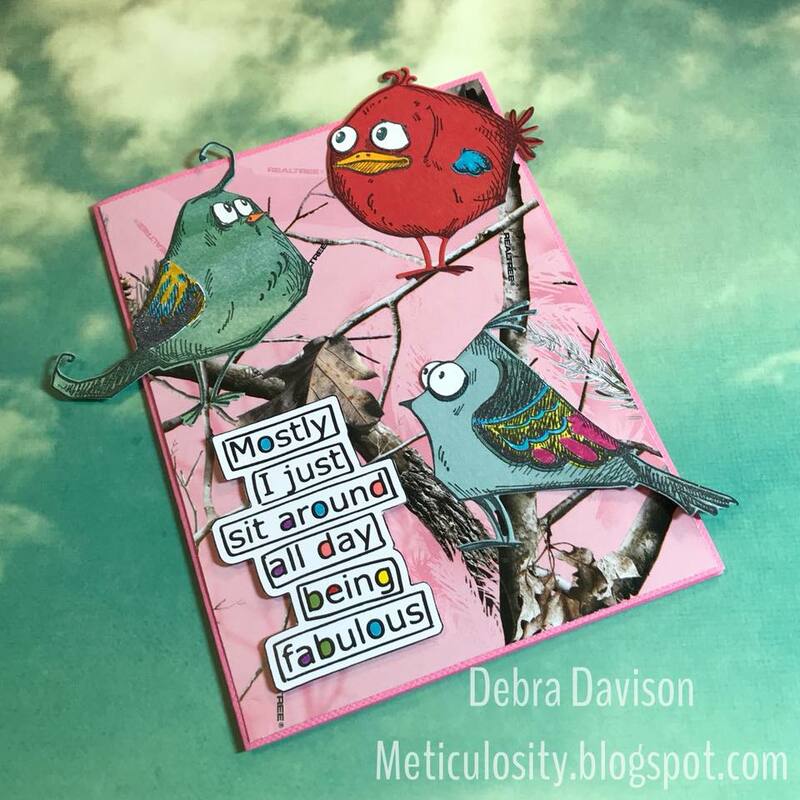 I stamped 3 different birds on a variety of different colored scraps and also a few on some Neenah Stardust White cardstock. Using the dies, I cut out the 3 birds and also their wings. 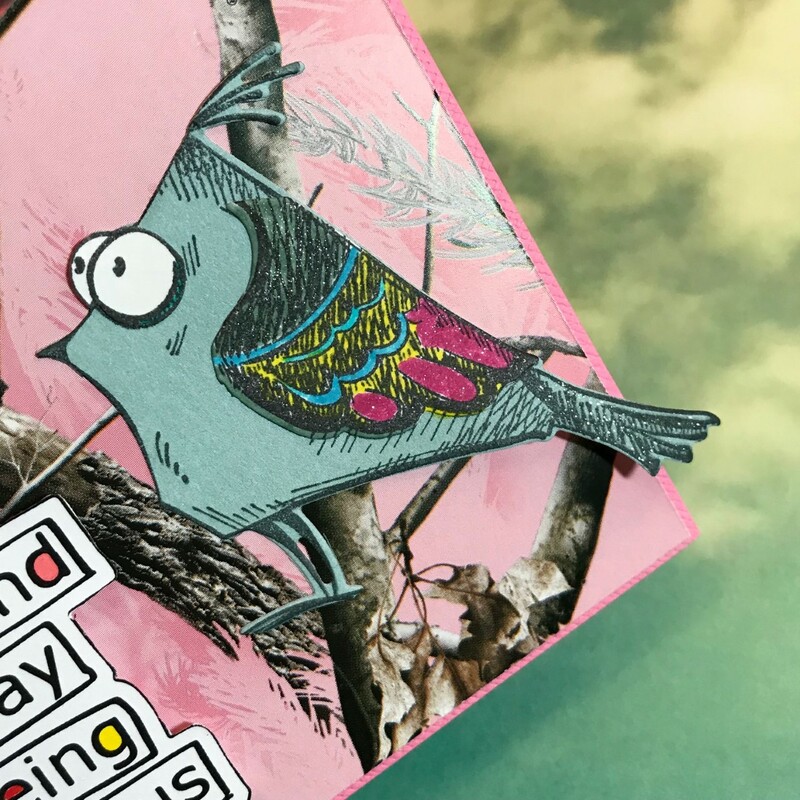 I fussy-cut the eyes and beak from the Stardust White cardstock and adhered them to the birds after coloring some of them with my favorite markers. After coloring the wings, I adhered them to each bird. A Wink of Stella Clear Glitter Brush Marker added some shimmer to several of the wings. 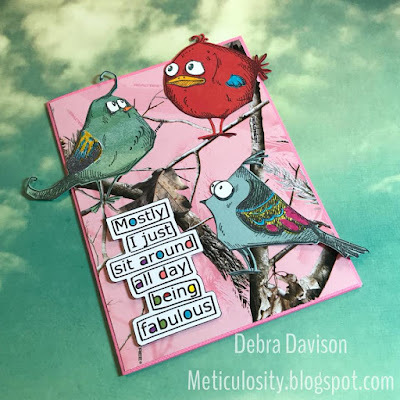 The birds were adhered to the background with Tombow MONO Adhesive+ and the saying from a Dylusions Coloring Sheet was popped up using Tombow Foam Tabs. This was a fun card to make. These birds can be used in so many ways !! I'm sorry I waited so long to get them inky .. They were perfect for this Challenge. Thank you for visiting Meticulosity and be sure to look at all of the Design Team projects here.